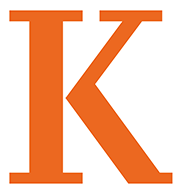 The Kalamazoo College Library signed on to a position statement by the Internet Archive supporting Controlled Digital Lending (CDL). CDL would allow libraries to loan digital versions of print books to patrons. Through CDL, libraries use technical controls to ensure the library circulates the exact number of copies of a specific title it owns, regardless of format, putting controls in place to prevent users from redistributing or copying the digitized version. Many library patrons look to digital access first, which means that a whole world of research is effectively inaccessible in a meaningful way. Some users are unable to travel to a library because of their remote physical location, economic issues, or homebound limitations. For others, physical access is inefficient for research and learning. Many users with print disabilities are currently required to self-identify disabilities and request special access to digital copies. We believe CDL would be a step forward in using available technology to make access to materials more convenient, and in some cases, possible.